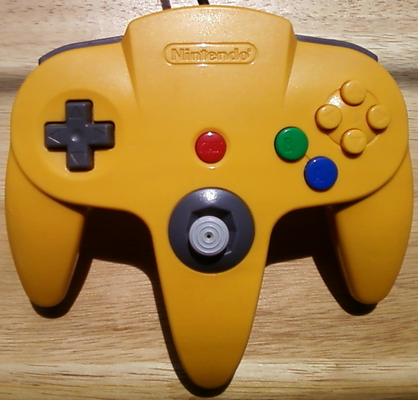 Sadly this isn’t the DK edition controller, but the yellow sure is bright. When I found it, it needed a lot of cleaning, but that is something I do to all my scores anyway. 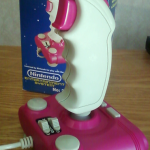 The joystick is pretty loose on this one but its overall completely functional. 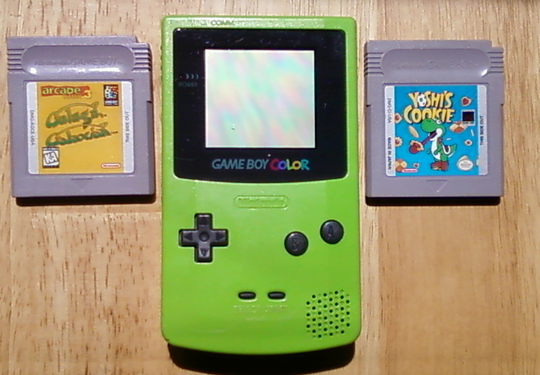 Over a year ago now, I passed up a Gameboy color in a thrift store because I didn’t know whether or not it worked, and to this day I wish I had bought it. I’ve been keeping my eyes open for another one at a reasonable price when I saw a Craigslist posting. The ad was a few weeks old but I took the chance. 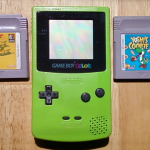 2 days later I became the owner of a lime green GBC with Galaga/Galaxian and Yoshi’s Cookie, beside the atomic purple battery cover (at least it had one!) everything was in great shape! Every once in a while I will come across something so wild, I have to buy it and this is such an occasion. I own a Beeshu Zipper, so I have a little background with Beeshu’s products. I was checking out a Goodwill I had never been to before when the box (and the bright colors!) caught my eye. 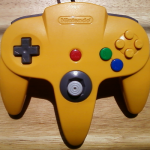 I picked it up and checked inside, everything but the instruction manual, if there even was one, was inside the box. 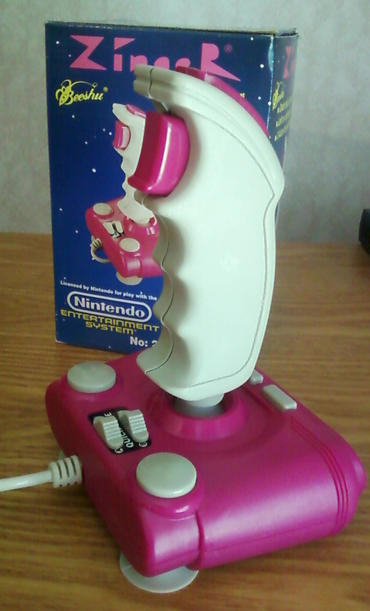 This thing is a bright pink with a white cable, very strange for an NES joystick, but everything works and its just a fun piece to own. 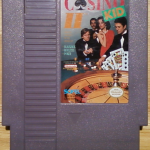 If you’re an NES game collector, you may know Casino Kid 2 is one of the harder to find games. I’ve only seen 2 of them and this is 50% of that equation, the other was $20 or $30 at a local Disc Replay store. This particular copy had been sitting in a bin at a flea market, I knew the game was harder to find and I knew it might get snatched up at the $5 they were wanting for it. 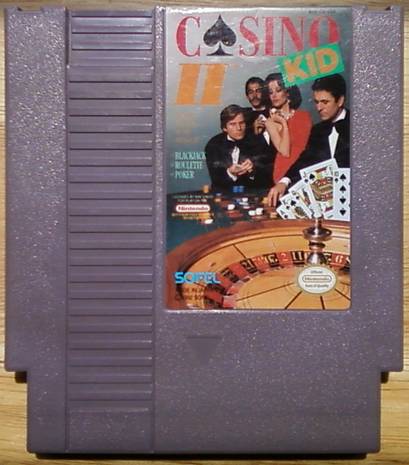 Week after week the game was still there, so I decided to take a chance and buy it, but when I got to the cash register they had a surprise for me..